Who is in Control during Hypnosis? As a client you are in complete control and you reach the desired state of hypnosis by following the guidance of your Hypnotherapist. The relationship is similar to that between a navigator and a pilot. You the pilot make the choices. You can never be made to do anything against your will or contrary to your core values. Nobody unknowingly reveals their deepest secrets during hypnosis. What does it feel like to be Hypnotised? Being hypnotised is a wonderfully relaxing state, similar to just after waking up in the morning – a comfortable feeling of being half awake and half asleep. The beauty of hypnosis is that this beneficial state can be prolonged for a substantial time. You will notice your senses are heightened. You will be able to hear your Hypnotherapist talking to you. You will feel relaxed, your mind will think more clearly. One hour of deep hypnotic trance can be as beneficial as four or five hours of natural sleep. What is Hypnosis? Every single person goes into a trance several times during a day, whilst watching television, watching a film, reading a book or simply daydreaming. Even passing into ordinary sleep involves a kind of trance state. The experience of hypnosis is similar to neither sleep, nor wakefulness, but is a little like daydreaming with a pleasant feeling of deep relaxation. Hypnosis is a different state of consciousness that you can naturally enter, so that beneficial changes can occur in your unconscious mind. Hypnosis Can Change Your Life Naturally Safely Effectively! Clinical Hypnotherapy uses hypnosis to treat a variety of medical and psychological problems. It may even succeed where other, more conventional methods of treatment, haven’t produced the desired results. When carried out by a professionally trained and skilled Hypnotherapist, the benefits can be long lasting and often permanent. Your Unconscious Mind Your unconscious mind is at work even when you are asleep. It controls your breathing, your heart rate, your thoughts and habits. It stores in your memory everything that has happened to you from birth. It is always there to protect you. Hypnosis Works When Will-power Fails Using will-power alone, to make changes to our life, can be done, but many of us find it too difficult because will-power lets us down. We can sometimes make the changes short term, but will-power can fail us in the long term. Is there another way? 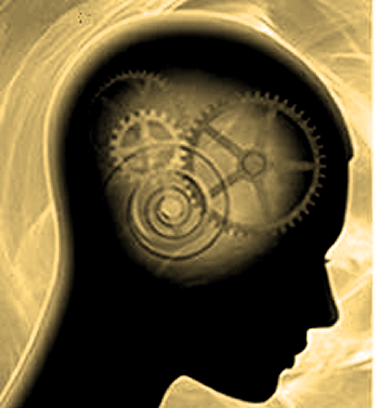 Clinical Hypnosis unleashes the power of our unconscious mind. The size of an iceberg at sea is seven times larger below the waves, than the tip above the waves. Our unconscious mind like an iceberg below the waves is much larger and powerful. It can help us use the resources and strengths, our conscious mind isn’t aware of. Using hypnosis works when will-power has failed. If you really want to – You Can Let Hypnosis – Change Your Life. Flying. Driving. Exam nerves. Phobias. Public speaking. Anxiety / panic attacks. Building / rebuilding self confidence . Goal setting. Self esteem .